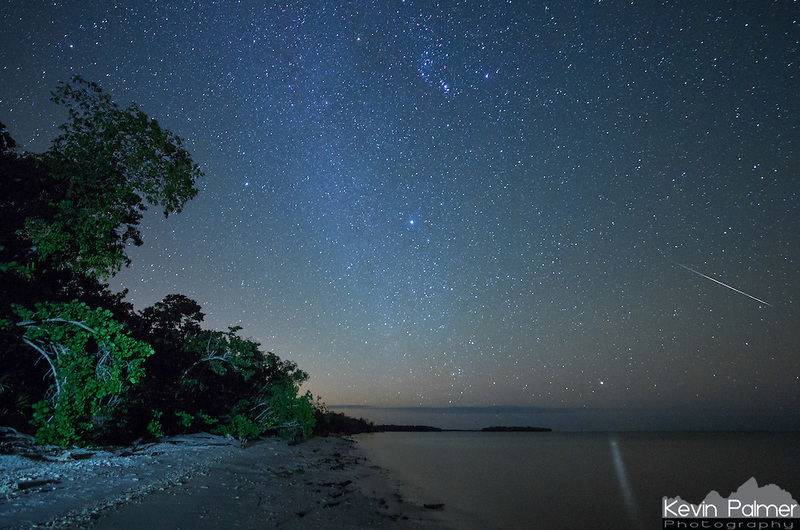 A Geminid meteor streaks across the sky above Picnic Key in Everglades National Park, Florida. The star Canopus is reflected on the water with the brightest star Sirius in the middle of the picture and the constellation Orion above. My flashlight lighting up the trees was actually unintentional. When a raccoon approached me I instinctively shined a light in its direction. The raccoons here are very bold because they have no source of freshwater and attempt to steal from campers.